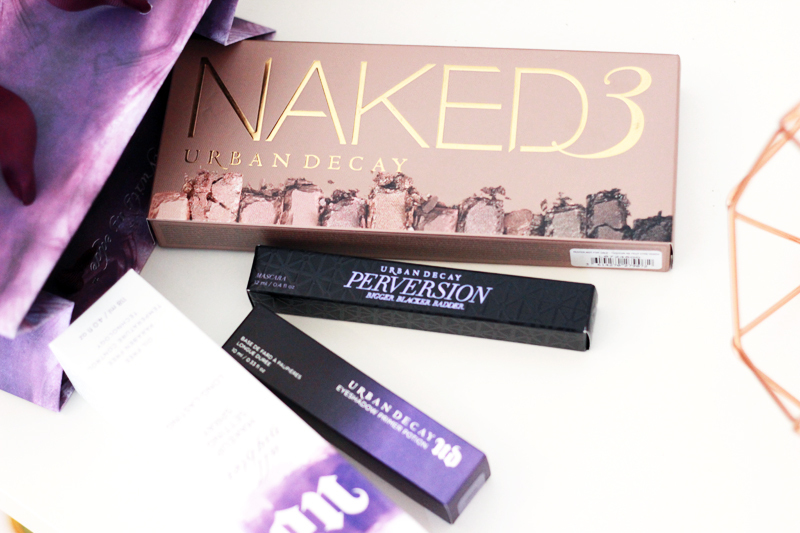 New in Belgium: Urban Decay + Naked 3 Look! 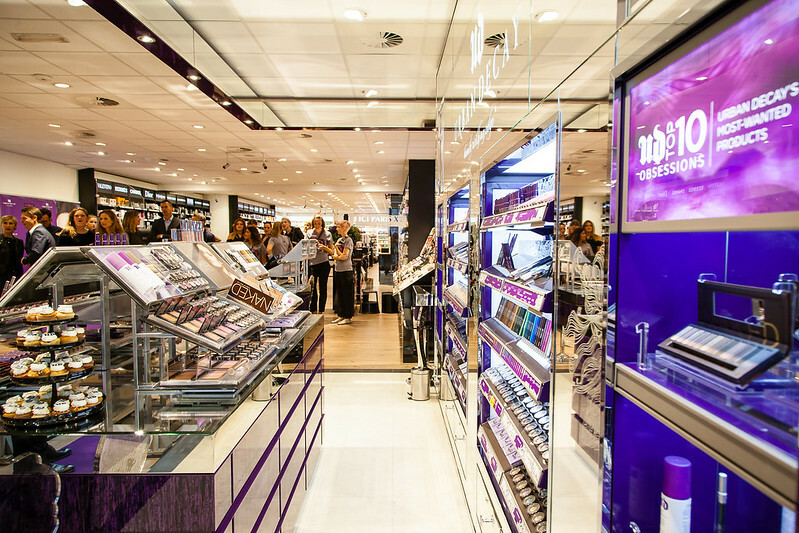 For some international makeup loving readers this might be a little strange to imagine, but up until very recently you couldn’t purchase Urban Decay anywhere in Belgium. 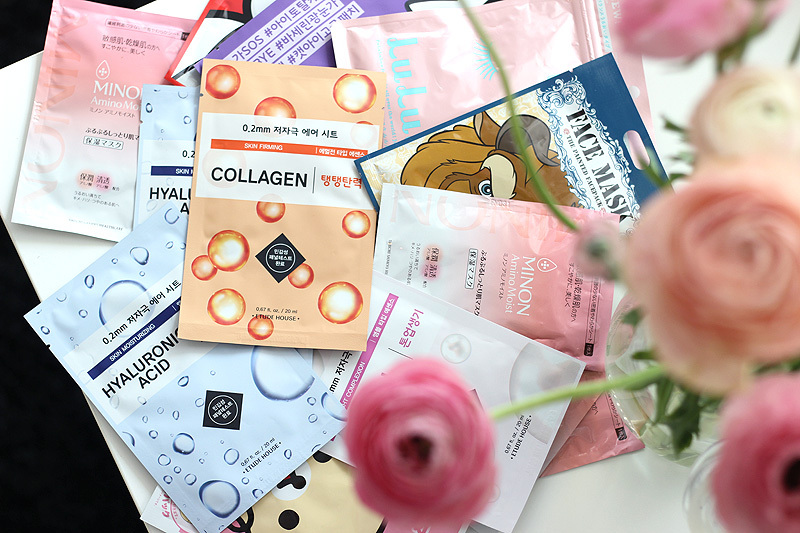 While we do already have a very generous selection of brands present in our department stores, we're still lacking the presence of a few amazing brands such as NARS or Charlotte Tilbury for example. I hope that this might be changing as it looks like more & more brands are finally making the move into our tiny little country. 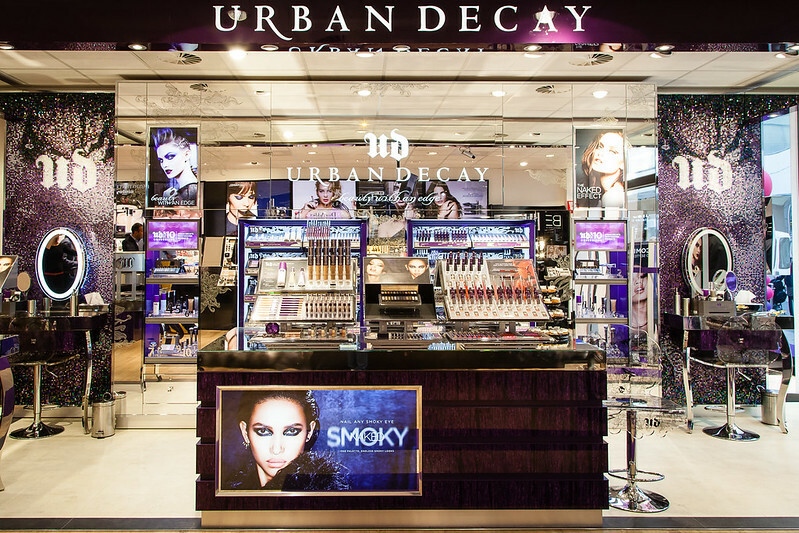 Urban Decay is now available online on the Ici Paris XL website, at a beautiful and spacious shop-in-shop in the Ici Paris XL in Brussels Nieuwstraat and should soon also be available at Ici Paris XL in Antwerp Meir. Let's celebrate! I am very fond of Urban Decay and the first Naked palette was my very first makeup splurge after starting to work full time. 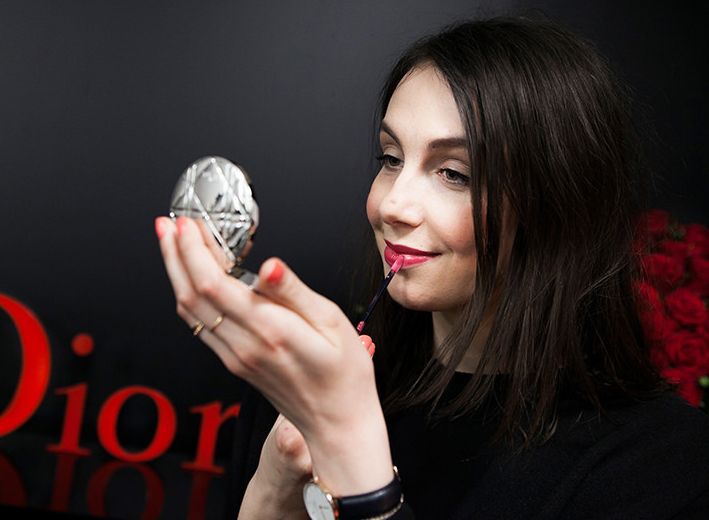 I contemplated it for days because I wasn’t used to having a decent monthly wage as a student and I never really ventured out of MAC Cosmetics at that time. Blogs convinced me to get the palette and I have used it so often since then - it’s still one of my very favourite palettes. 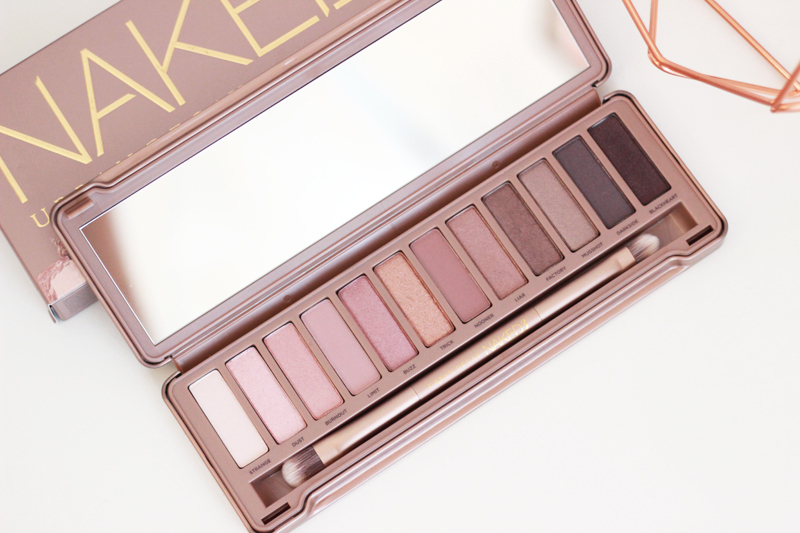 I went to the opening of the Urban Decay shop-in-shop in Brussels last week and I was very excited to find the Naked 3 palette in my goodie bag - I’m not really a fan of cool shades so I naturally skipped on Naked 2, but when Naked 3 came out I was pretty impressed. These kind of rose shades are just so pretty! I got it last week and in the meantime I've used it for both daytime and evening looks. It's pretty versatile and a true must-have for those of you with green eyes. For this look I used the shade Limit all over the lid with shade Nooner blended out in the crease. 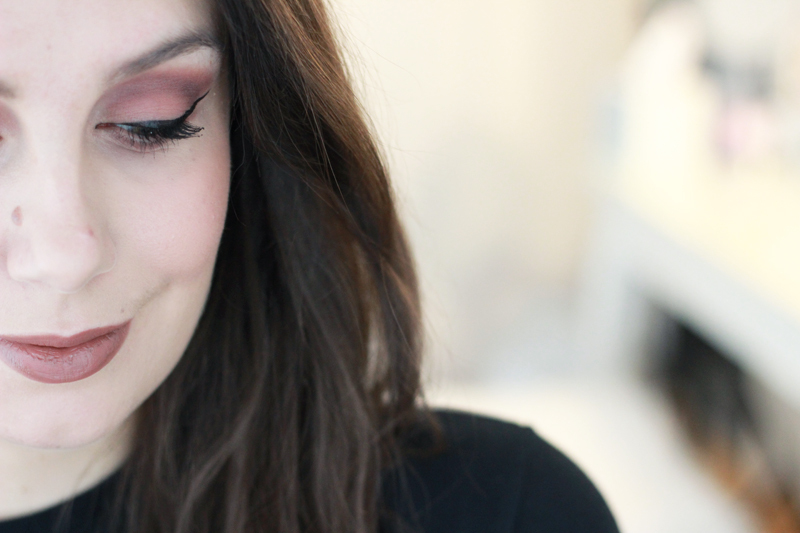 As a liner I am wearing the Vinyl liner from Givenchy’s Fall collection - it’s very pigmented so definitely worth the purchase if you’re into jet black liners! In my opening goodiebag also got the original Primer Potion, the All Nighter setting spray and the Perversion mascara. I used to love that primer back when I got it in that original Naked palette, but somehow didn’t end up repurchasing it. I’m so glad I have one again now! I will definitely be using this one for most makeup looks. 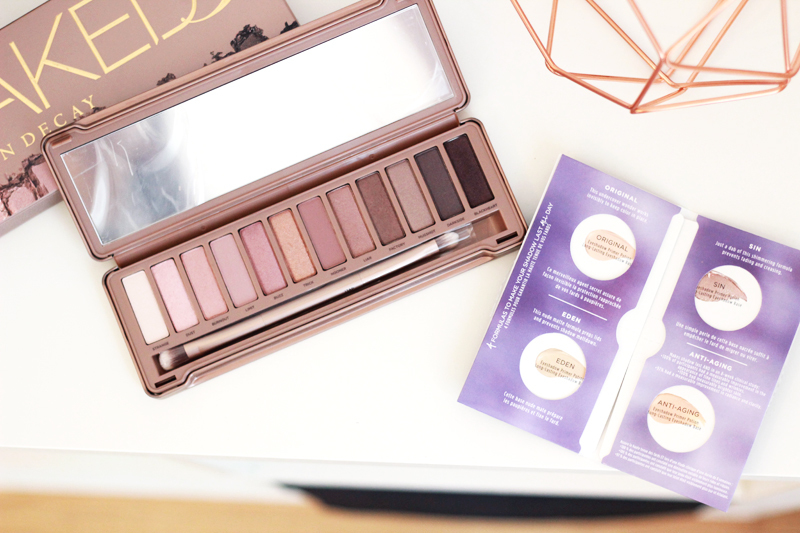 In the Naked 3 palette you’ll find a sample package with small samples of all four primers Urban Decay does by the way - a great way to see which on you’d use the most. Also please don't mind my dry lips in the pictures above - they're in much better state now as I'm typing out this post.. The state of them really depends day by day on whether or not I forget to apply a good lip balm before going to bed. Le sigh! As you can see the counter in Brussels is pretty big! It's pretty much like a little shop on its own - hence why officially it's called a shop-in-shop. While the press opening evening was madness, I heard that the public opening was just as crowded! There were 200 girls lining up to take a first look at the store, which only illustrates the attention for these kind of brands. I really hope more cool makeup brands like Urban Decay will follow the path too Belgium.. Brands, take note!